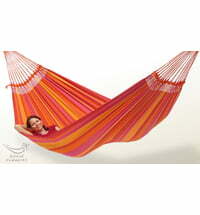 Handwoven hammock in warm orange tones. 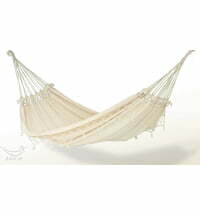 Note the especially beautiful, hand-woven patterns and the beautiful hand-knotted lateral trim in two colors. 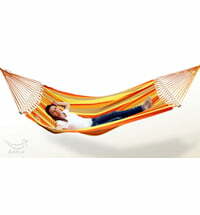 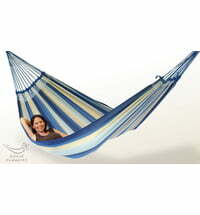 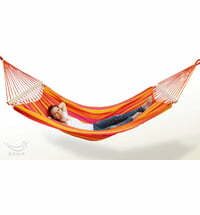 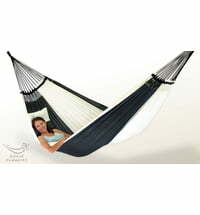 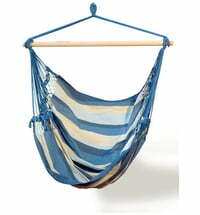 Through the woven fabric the hammock is a little thicker and heavier, which is why this hammock is "warmer".